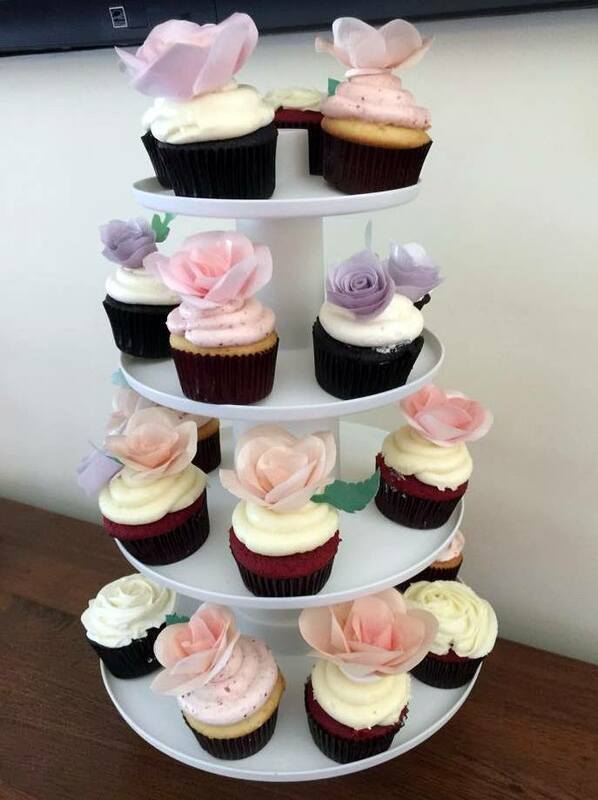 A couple weekends ago, I made wafer paper flower cupcakes for a Sonoma wine country bachelorette party. 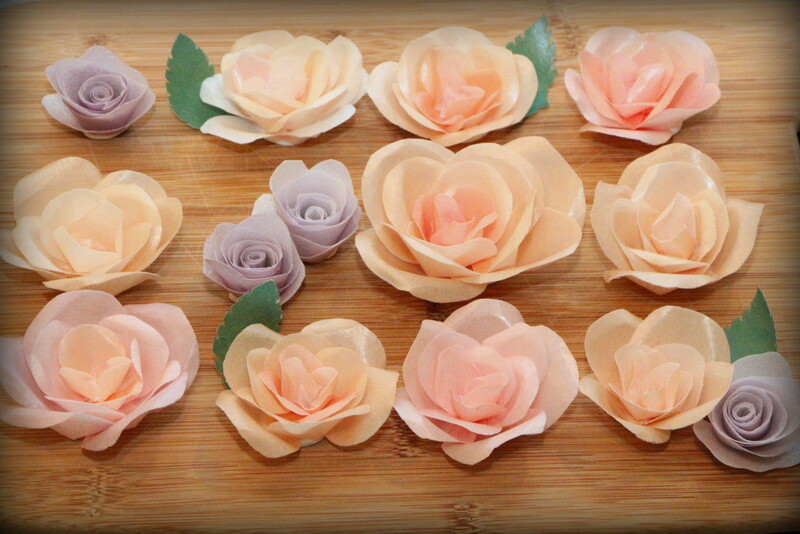 If Pinterest is any indicator, wafer paper flowers are becoming a trendy choice for weddings and events, and I can certainly see their popularity whenever I post a photo of them on Facebook. I’m happy to have the opportunity to gain more experience working with the medium, and I personally love the rustic and light feel of wafer paper flowers as well. 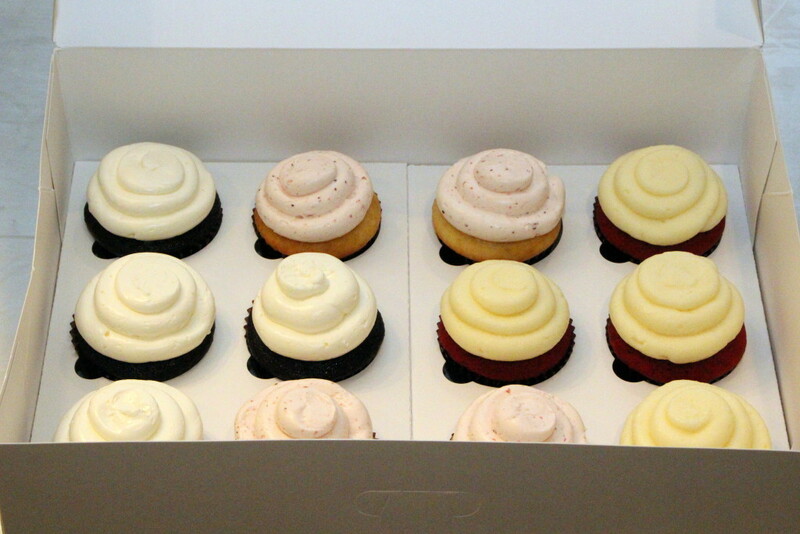 For this party, I made red velvet cupcakes filled with lemon curd and topped with cream cheese frosting, chocolate ganache cupcakes with buttercream, and white cupcakes with passion fruit curd filling and strawberry buttercream frosting. 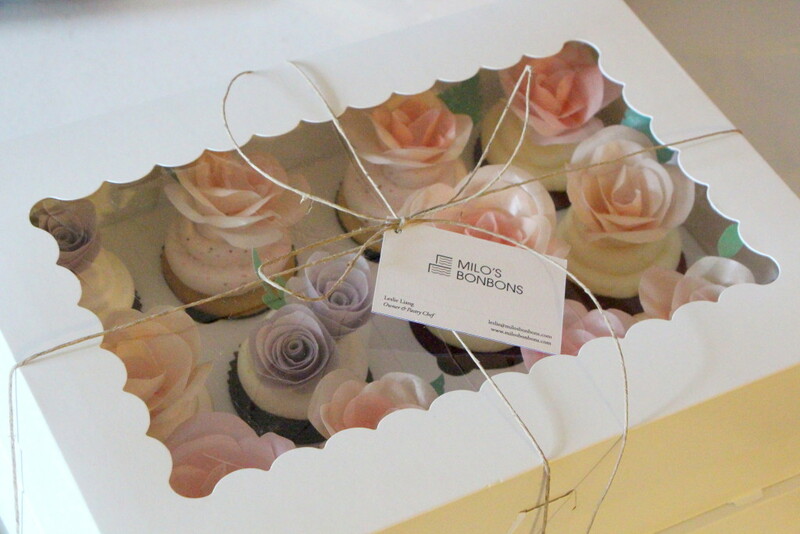 A dozen of the cupcakes were topped with mix of standard and rolled roses, while half a dozen were simply frosted. The flowers sit a little tall on the cupcakes, so I might explore other sizes and positioning in the future, but otherwise I was pleased with the result. Happy bachelorette and congrats to the bride-to-be! « Baby Shower | Congrats Alice & Mark!